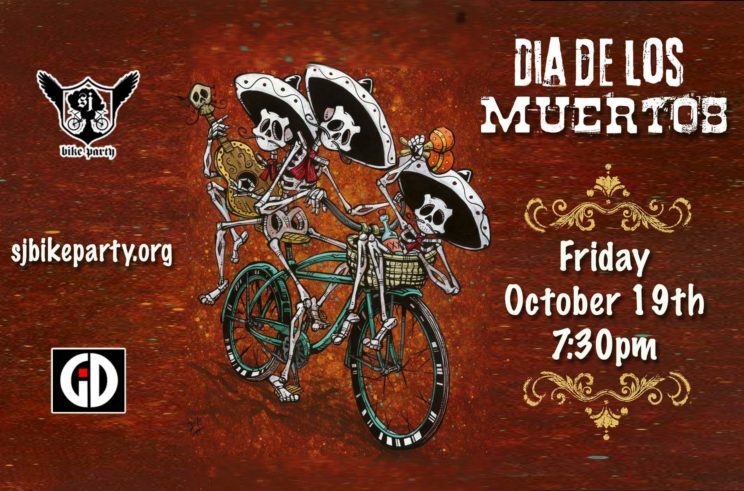 Dia de Los Muertos Ride! Leave your Mortal Coil at home and enjoy the freedom of the Afterlife. 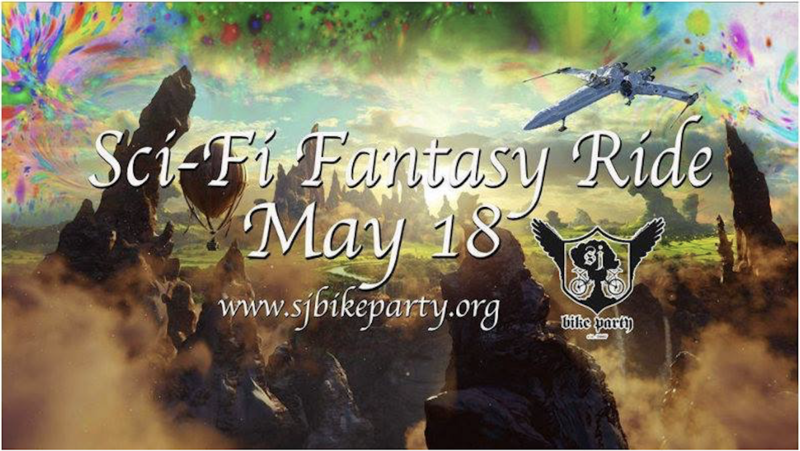 Join us in the sprit of the holiday, and let’s gather on bikes to celebrate and remember friends and family members who have taken the “long ride”, and help support their spiritual journey. Join us at Plaza de César Chávez, 1 Paseo De San Antonio, San Jose, CA. Guerillaz in the Da Mixx will be bringing the beats on the Mobile Dance Floor. We’re thrilled to be running our #LightMeUp free safety light distribution. 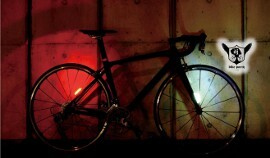 If you don’t have a front and rear light for your bike, come see the Bike Party Birds at the start, 7:30PM, to get yours. 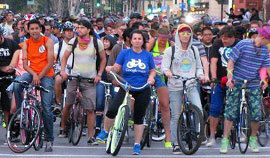 Want to help make cycling safer in San José? Chip in over at our Donation Page. Be visible and bring some water. We’re expecting Cool but dry weather, 60s ! 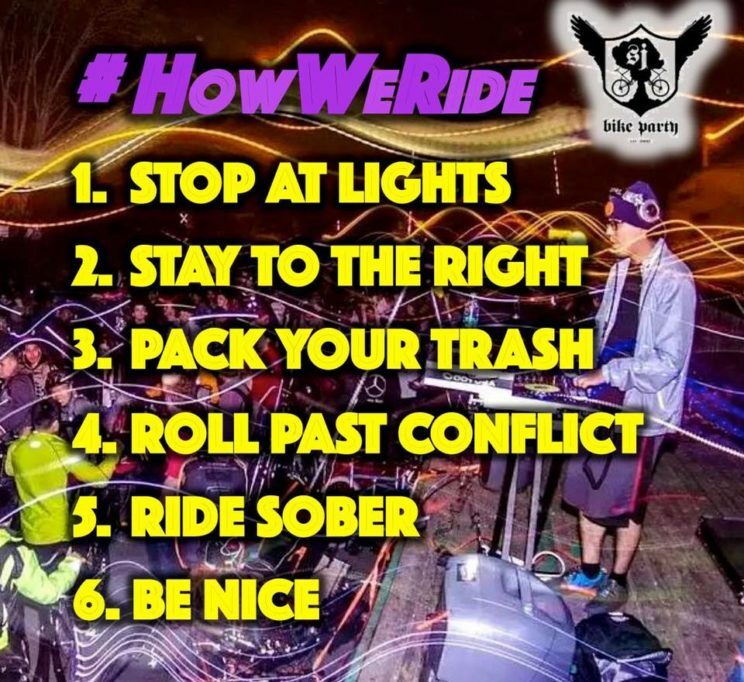 We also encourage cyclists to ride to the start rather than drive; reducing auto traffic and parking demand. 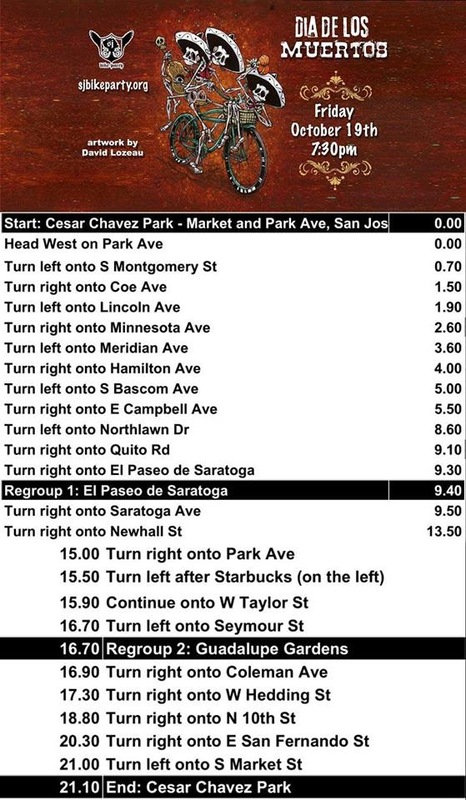 Please look at the route and print it out. 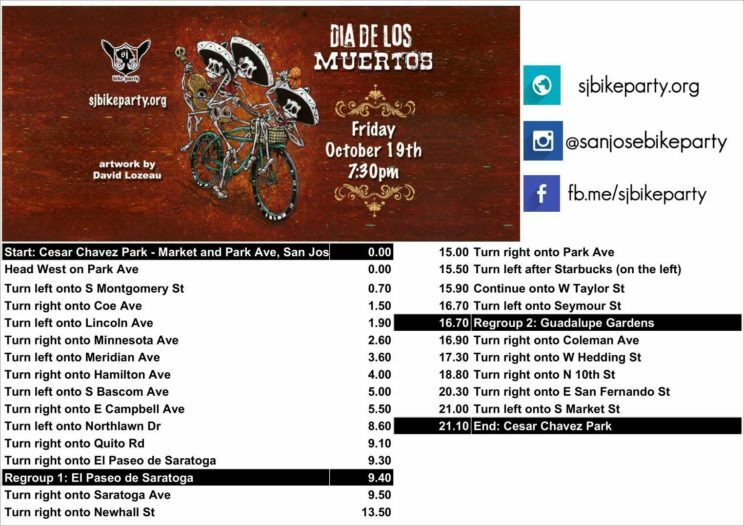 Pre-ride route for SJ Bike Party October 2018 ride from San Jose’s Berryessa district to SJBP start point at Plaza de Cesar Chavez Parkj in downtown San Jose. The pre-ride start point is at Peet’s Coffee at Oakland & Brokaw. It’s in the Berryessa District of San Jose, and intended to be somewhat near the Berryessa BART station, where the start point will move to when the station opens, currently projected for 2019. Estimated ride time 30 minutes.